Rick Kurtz and RD Training System is launching real estate training for the professional real estate agents to help them up-to-date and stay on the top of many competitors. “Today’s successful real estate agents need to be equipped with the best and latest strategies, approaches as well as ideas in order to keep ahead of the competition. That is why we provide powerful strategies to take real estate agents to the next level”, Richard Kurtz, Founder of RD Training Systems. This training will gave participant lots of good tools that can help them become thriving in the field of real estate. Once they use this tool, expect nothing but a positive and fruitful result. There are lots of things to be expected during the meeting including high power, minute per minute content rich presentation. 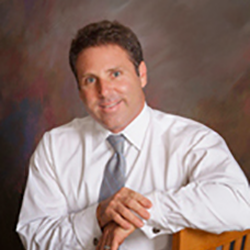 Richard Kurtz, the speaker who focus on a proven system that is made by realtors for realtors. The seminar will teach real agents concerning the main core on how to run a real estate business. This training can help real estate agents put together a business plan as well as give them specific ideas as to what they have to do so as for their venture to become successful. Richard Kurtz is a reliable real estate consultant which will real estate to the grindstone and put their feet to the fire. He can keep real estate agents moving forward, and help them through rough times and answer questions. This training can provide support, motivation, knowledge, as well as assistance to keep their focus. The training will make sure that real estate agents are capable of fulfilling their tasks in line with the new real estate rules and regulations. The success of Rick Kurtz and RD Training Systems is built around the excellence, expertise as well as desire of the team members, led by well-known speaker RICK KURTZ. The company provides you the dream, motivation as well as tools to take real estate business to a higher level. For more information about the coming real estate training, please visit the company website at http://rdtrainingsystems.com or call customer hotline number at (844) 454-8787. I would recommend to people to join this RD training program if they want an expert real estate knowledge.